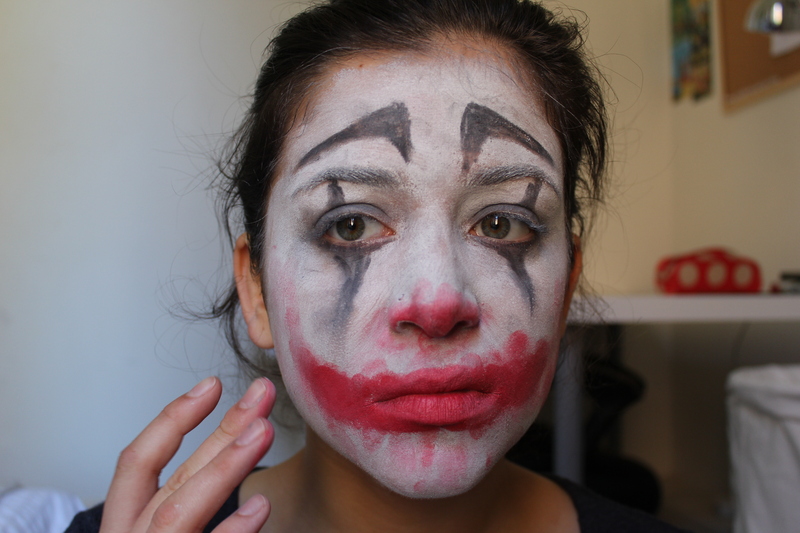 Hi guys, today I’m bringing you a super simple halloween look – a clown! 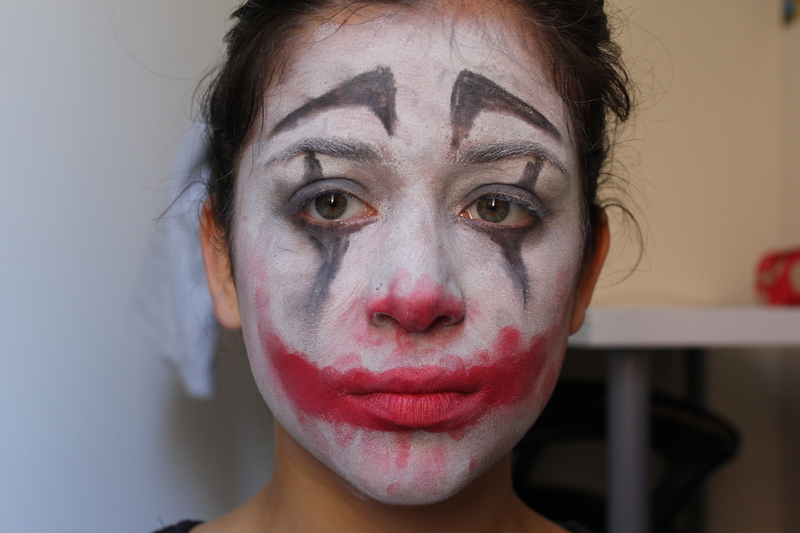 The fab thing about this makeup is that the crappier it is, the better. 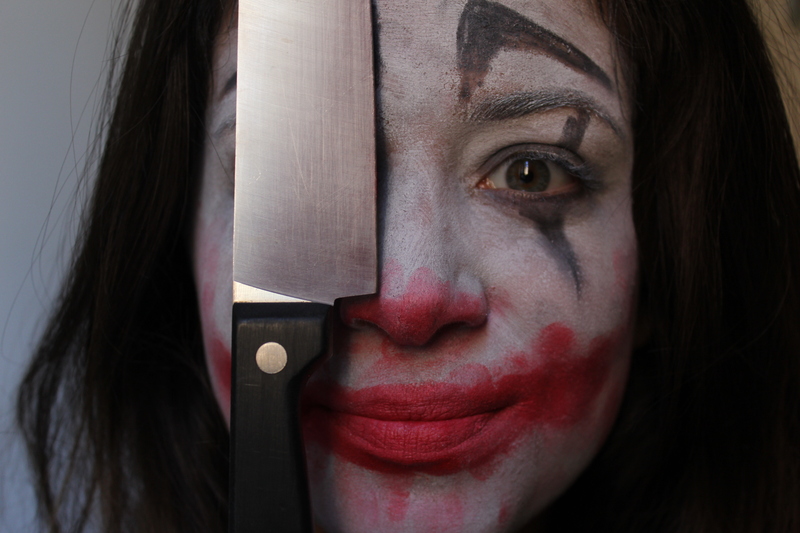 The more the face paint cracks or the eyes smudge, the more authentically rubbish the clown looks. Go nuts. Quick disclaimer: This will look infinitely better if you have a mental wig and/or costume. 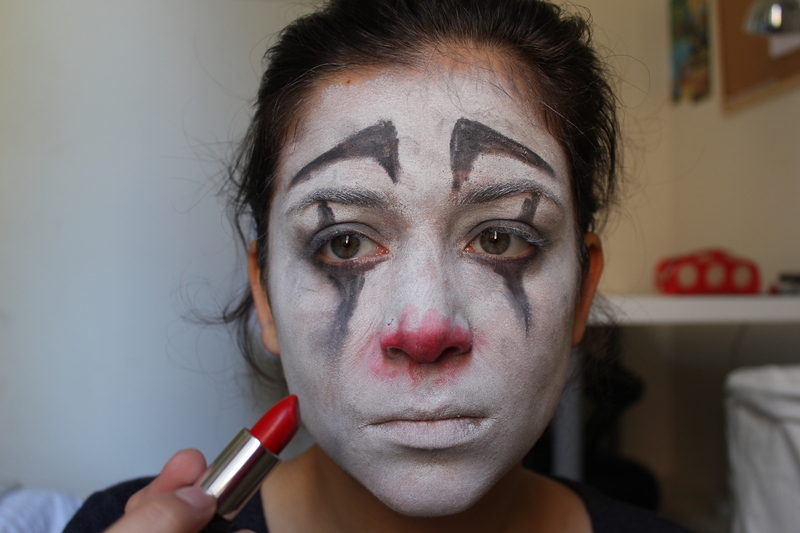 I’m on a student budget and can’t buy new stuff for every halloween look I’m gonna show you. Sorry to be real. 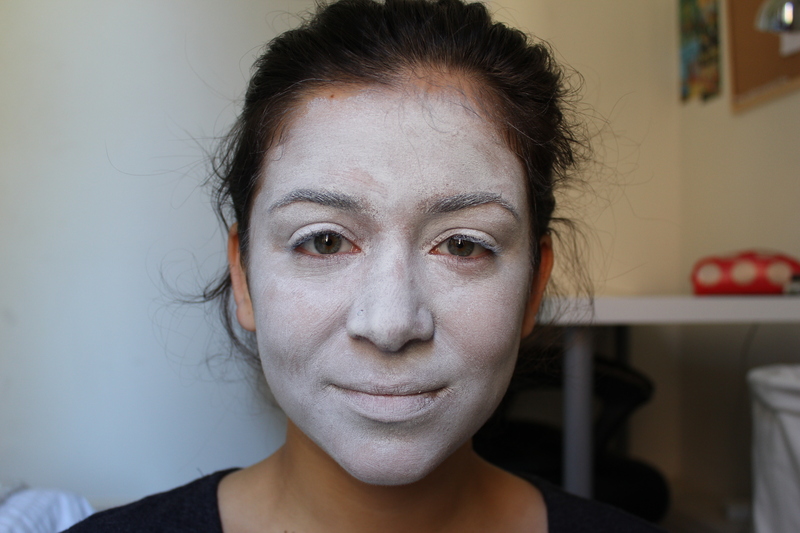 Cover your face with white face paint. 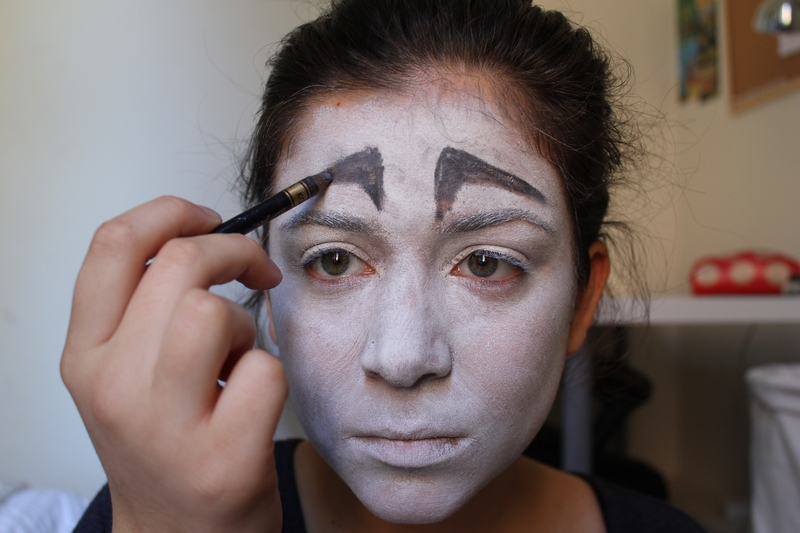 I also used a spoolie to make my brows as pale as possible. Do a thorough job, but don’t fret if it starts cracking / looking gross – that’s perfect. Pencil on some eyebrows – do whatever shape you fancy. Also don’t do them well. 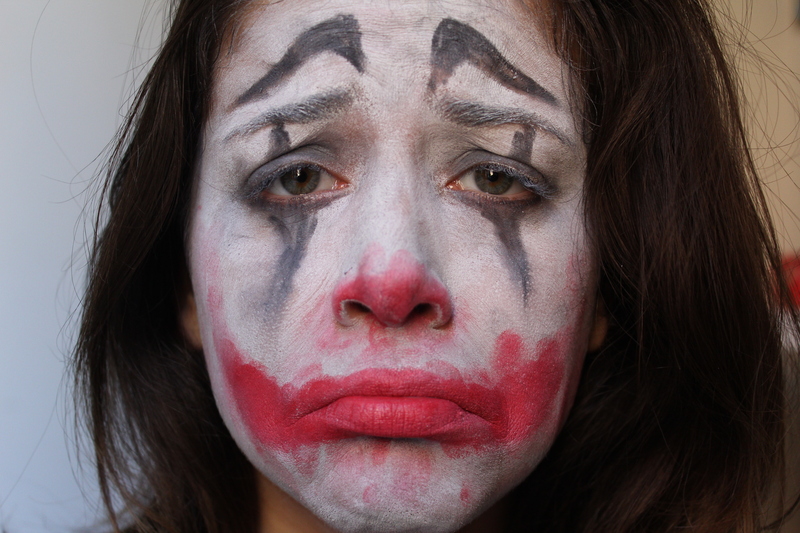 Then draw on the classic pointy clown eye, but -and here’s the twist- do a bad job. You may need to sharpen the pencil a few times as it gets covered in white paint. Use your fingers to smudge the kohl all around the eyes. Pop some lipstick on the end of your nose and smoosh it around a bit. 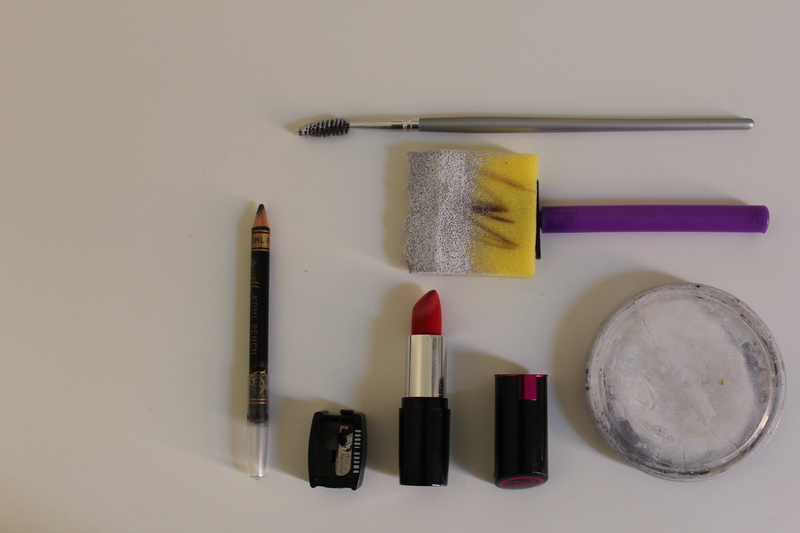 Draw a huge smile on your face with the lipstick (maybe don’t use one you like a lot), and smudge where appropriate. 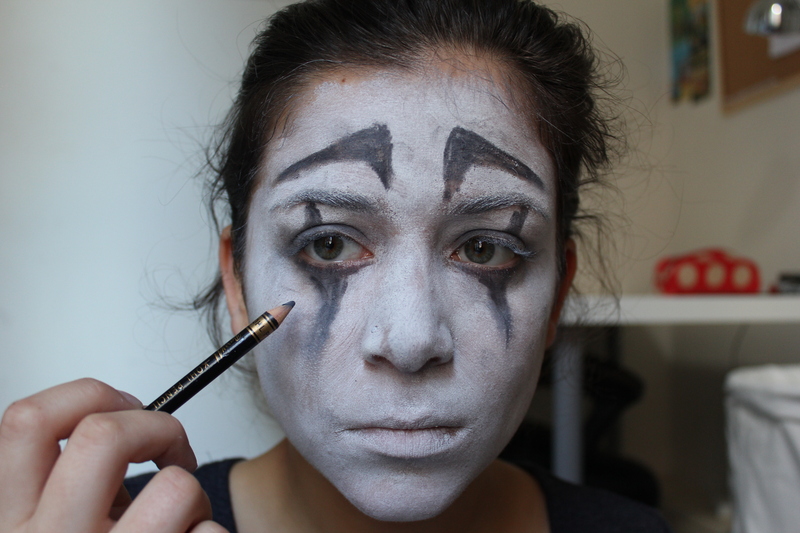 Final note: This is definitely not the scariest clown makeup in the world – it’s more of a sad, pathetic character – so best act accordingly.